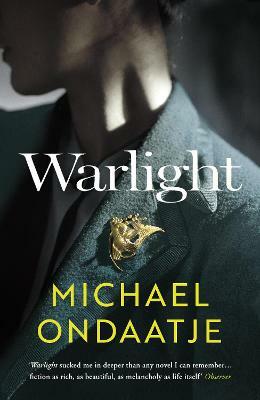 'Our book of the year - and maybe of Ondaatje's career' Daily Telegraph Books of the Year **LONGLISTED FOR THE MAN BOOKER PRIZE 2018** It is 1945, and London is still reeling from the Blitz. 14-year-old Nathaniel and his sister, Rachel, are apparently abandoned by their parents, left in the care of an enigmatic figure named The Moth. They suspect he might be a criminal, and grow both more convinced and less concerned as they get to know his eccentric crew of friends: men and women all who seem determined to protect Rachel and Nathaniel. But are they really what and who they claim to be? A dozen years later, Nathaniel journeys through recollection, reality and imagination to uncover all he didn't know or understand in that time, to piece together a story that feels something like the truth. Michael Ondaatje is the author of several novels, as well as a memoir, a nonfiction book on film, and several books of poetry. Among his many Canadian and international recognitions, his novel The English Patient won the Booker Prize, and was adapted into a multi-award winning Oscar movie; and Anil's Ghost won the Giller Prize, the Irish Times International Fiction Prize, and the Prix Medicis. Born in Sri Lanka, Michael Ondaatje lives in Toronto.